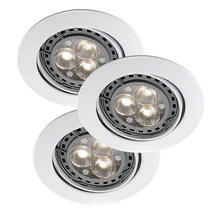 Hi-power LED spotlights available in a white finish. 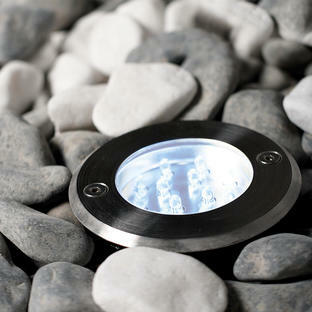 Each spotlight is adjustable with a range of motion of 30 degrees. Each spotlight takes 1 x max 35W GU10 bulb but do come complete with a 3W LED GU10 bulb which is guaranteed to last for at least 3 years. 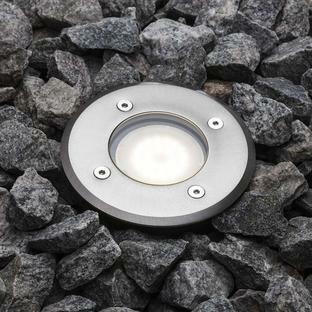 The candela value for these bulbs is 800, meaning that the amount of brightness per angle that is produced by these bulbs is 74% higher when compared to the standard powder Recess Outdoor Spotlight. Please note that these spotlights are not suitable for use with a dimmer.